In 2006, Diane Williams founded The Source of Synergy Foundation, a 501c3 not‐for‐profit educational organization whose purpose is to synergize individuals, organizations and efforts by tapping into the infinite source of collective consciousness, creativity and potential for the common good. Having worked within the United Nations community for over a decade, and served as a consultant for many organizations and on committees that supported various initiatives within the conscious community, she created The Source of Synergy Foundation in part to explore ways these extended networks might effectively be brought together to support greater synergy among them. 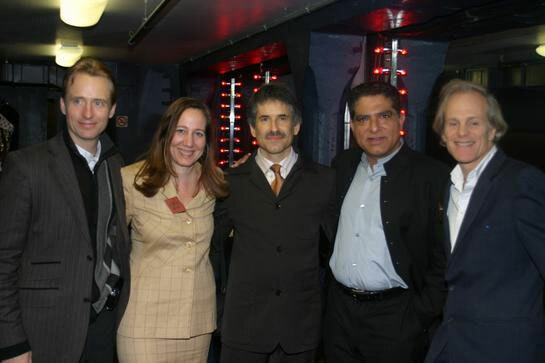 On October 15, 2006, the New York-based Coalition for One Voice held a special event entitled "Passion to Connect" with noted guest presenters Deepak Chopra, Alex Grey and Andrew Cohen. Organizers included Coalition founding members Emily Squires, Gerard Senehi, Diane Williams and others. Dale Colton, who was working with the Alliance for a New Humanity and its President, Deepak Chopra arranged for the Alliance and Deepak to work in cooperation with the Coalition in support of this NYC community outreach program. At the event, Diane Williams spoke to Deepak about the vision of The Source of Synergy Foundation and the desire to organize retreats with leaders of coalitions, alliance and networks and like-minded groups to explore how they could cooperate more closely. Deepak's enthusiastic reply was "Yes, and let's do it together. We can do it at the Chopra Center in New York." The project became The Source of Synergy Foundation's primary initiative as a not-for-profit organization. With Deepak's enthusiastic support, Diane and board members of The Source of Synergy Foundation (Deborah Moldow, Gerard Senehi, Emily Squires and Judy Martin) with Deepak and The Chopra Foundation (Carolyn Rangel) NYC Chopra Center (Kat Katsanis) co-convened these retreats. 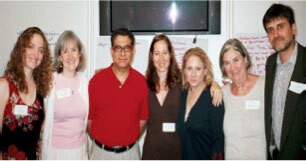 The first gathering took place at the Chopra Center in NYC on December 12th, 2006. 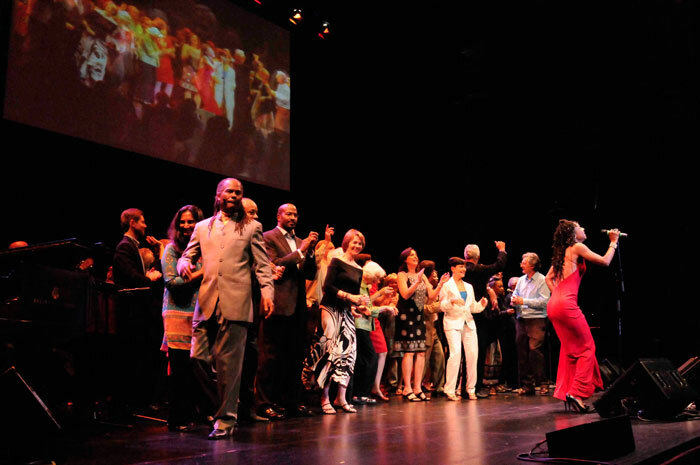 Leaders of more than 50 global organizations were invited to meet to promote a more profound sense of unity, consciousness, energy and awareness. The second retreat took place the following year at the Chopra Center in NYC on June 26, 2007 and focused on "How Can We Collectively Define, Map and Create Momentum for a New Emerging Consciousness in Social Change so it Becomes a Greater Force for Transformation?" The vision for a West Coast retreat came out of this effort. 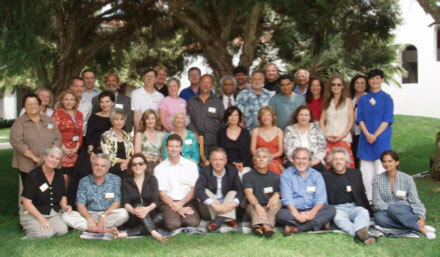 A third retreat was held on the West Coast at the Chopra Center in Carlsbad, CA on July 26, 2008. Unlike the NYC programs, the purpose of the California gathering was to bring together leaders in the consciousness movement – "evolutionary leaders" whose work had gained public recognition. Deepak Chopra of the Chopra Foundation and Diane Williams of The Source of Synergy Foundation agreed to invite the Association of Global New Thought (AGNT) and it's leaders Barbara Fields, Executive Director and Michael Beckwith, President to join as an additional co-convener of the 2008 California retreat. All of the convening organizations, as well as a majority of the EL's themselves, have financially contributed to the development of this project. The success of the retreat held at the Chopra Center in Carlsbad, California inspired these "evolutionary leaders" to meet again the following year. A decision was made to collaborate on a declaration of their commonly held vision. This resulted in A Call to Conscious Evolution: Our Moment of Choice, including its context and purpose, its eight opportunities for action and the subsequent on-line petition which was signed by over 42,000 people worldwide. 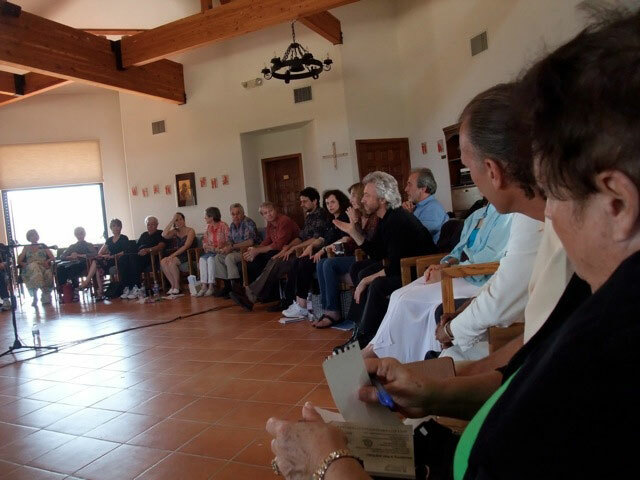 The 2009 Retreat was held on July 7-10 at Serra Retreat Center in Malibu, where various initiatives were discussed. The group, which chose to call itself "Evolutionary Leaders: In Service to Conscious Evolution," established a collective platform that has generated numerous exciting projects among the Evolutionary Leaders. The commitment to remain a collective and not a formalized organization called for the formation of an Administrative Circle whose focus was vision and strategy. A seven-member Operations Team focusing on implementation consisted of two members from each the three convening organizations, plus a member at large. The Operations Team facilitated monthly meetings and served as a means of organizational structure for the collective. 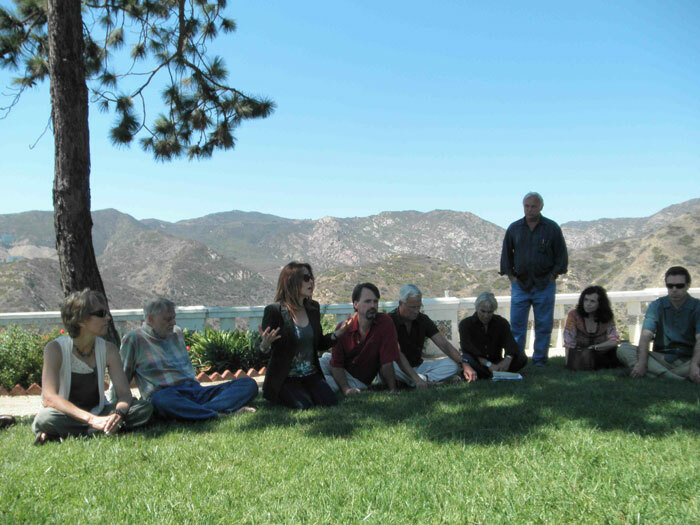 The next Evolutionary Leaders Retreat was again held at Serra Retreat Center in Malibu from August 30 to September 2, 2010. On August 31 the Evolutionary Leaders Circle held their first public event A Call to Conscious Evolution: Our Moment of Choice, where fifty Evolutionary Leaders came together to co‐create an extraordinary experience of unity – expressed in the "evocation" by Rev. Dr. Michael B. Beckwith as, "a leap into the possibilities that are aching to express themselves." The 1,500 people attending live in Royce Hall at UCLA in Los Angeles could feel the excitement; while over a thousand signed on to view the event on line. In order to gain more clarity and alignment about our reason for coming together as a collective, in the spring of 2011 a purpose and mission statement of the EL Circle was adopted the EL Council of Advisors for adoption. It states that our overall purpose is to collectively inspire, support and serve conscious evolution. In 2014, the group endorsed a How We Engage statement that embodies who we have evolved to be as a collective. In 2011, the co-conveners and the EL Council of Advisors requested the Source of Synergy Foundation to steward the Evolutionary Leaders project. Since that time, SOSF has carried out all required operations such as retreat coordination, the nomination and selection process for new ELs and the management of the EL communications platform including the website, newsletter, YouTube channel, Twitter and Facebook page that reaches out to evolutionary leaders around the globe. We continue to host annual Evolutionary Leaders retreats, along with smaller Synergy Circles, Salons and topical Evolutionary Round Tables. The EL Circle is committed to connecting with other evolutionary leaders around the world to collectively explore ways to be in service to the emergence of a movement for the conscious evolution of humanity.